Everything in the individual share with the kale bunches replaced by bagged spinach/baby kale mix, cabbage and onion, extra potatoes, carrots, butternuts, and peppers. 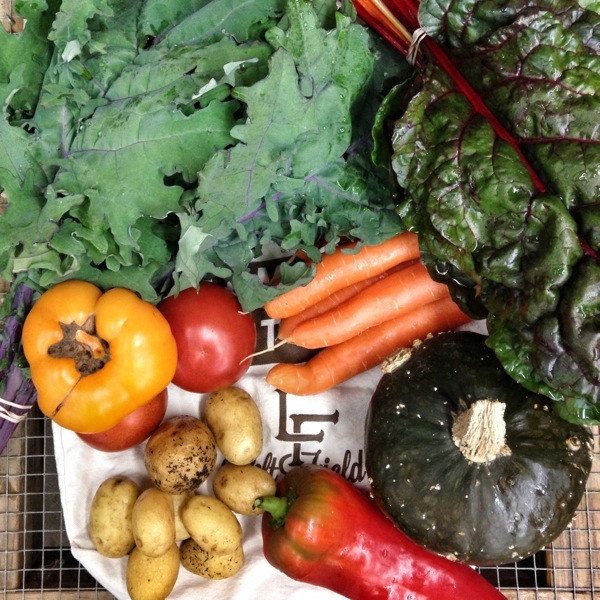 In this last share of the season we have butternut squash (honeynut is the variety - small and sweet), collard greens, mixed kale, carrots, red Maria potatoes, watermelon radishes, fresh sage, a pepper, and a few baby lettuce heads (a salad mix of sorts). The large share has extra carrots and potatoes, plus a delicata squash, radishes, peppers, a tomato, and a bunch of thyme. Buttercup squash in place of delicata, rainbow chard, shallots, and extra peppers, tomatoes, potatoes and carrots. This week we have delicata squash, red Russian kale, German butterball potatoes, sweet peppers, tomatoes, and carrots. Just radishes. Kidding. 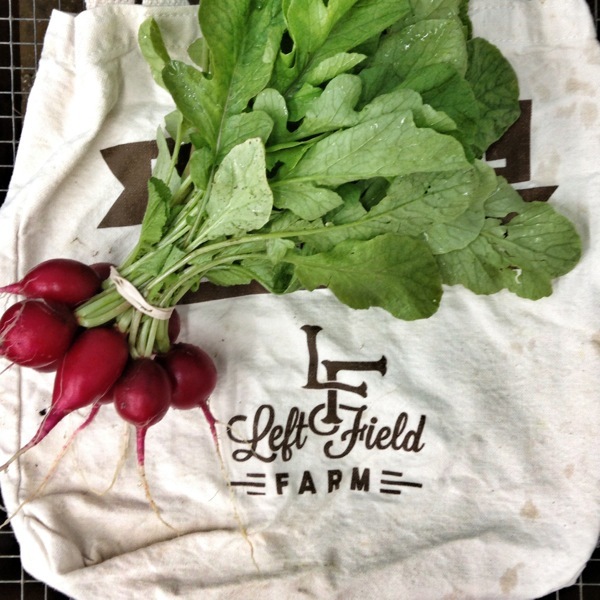 Radishes plus more or larger of everything in this week's regular share. 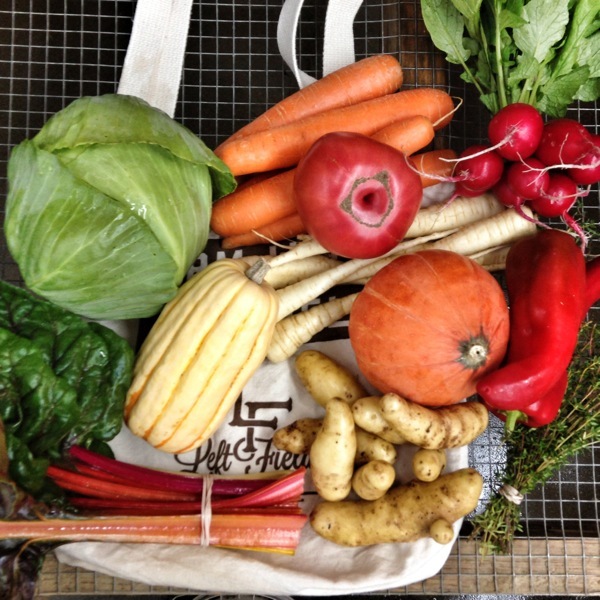 In this week's share: carrots, rainbow chard, collard greens, fingerling potatoes, tomatoes (still hanging on), a pepper, red onion, and sweet dumpling winter squash (take an acorn squash, paint it like a delicata, flatten just a bit, and voila!). Everything in the individual share minus the arugula (running short! ), red Russian kale instead of curly, plus bok choi, carrots, the last summer squash of the season, a romaine lettuce, and more potatoes, tomatoes and peppers.